Crews overseeing the rehabilitation of Millsite Reservoir updated the community during a meeting on Tuesday. 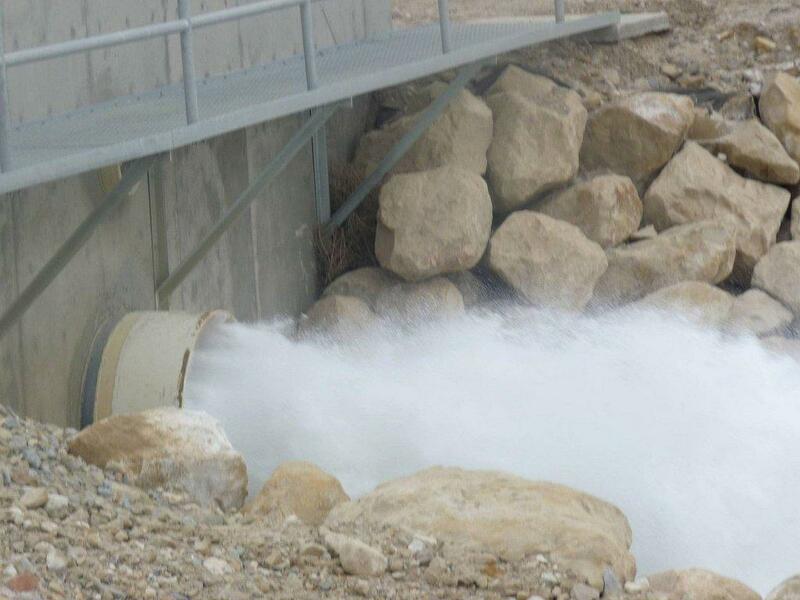 Reportedly, the spring runoff entering Millsite Reservoir will continue to be released through the outlets to match the runoff inflows and keep the reservoir at its current level until higher flows come down the creek. When the flows exceed the capacity of the outlet works, the excess flows will be stored in the reservoir to fill it up. 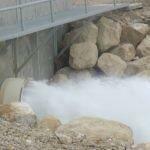 The snow pack is at 140% of normal as of April 1, so it is almost inevitable that water will go over the spillway. The current estimate of spring runoff is 55,000 acre-feet of water, which would be enough runoff to fill the reservoir four times to this year’s temporary full level. When the reservoir is spilling, the level of the water should remain at about 12,000 acre-feet until irrigation demands need to use the stored water following the spring runoff. The original dam could hold 18,000 acre-feet of water when full, which had been reduced to less than 16,000 acre-feet because of sedimentation. 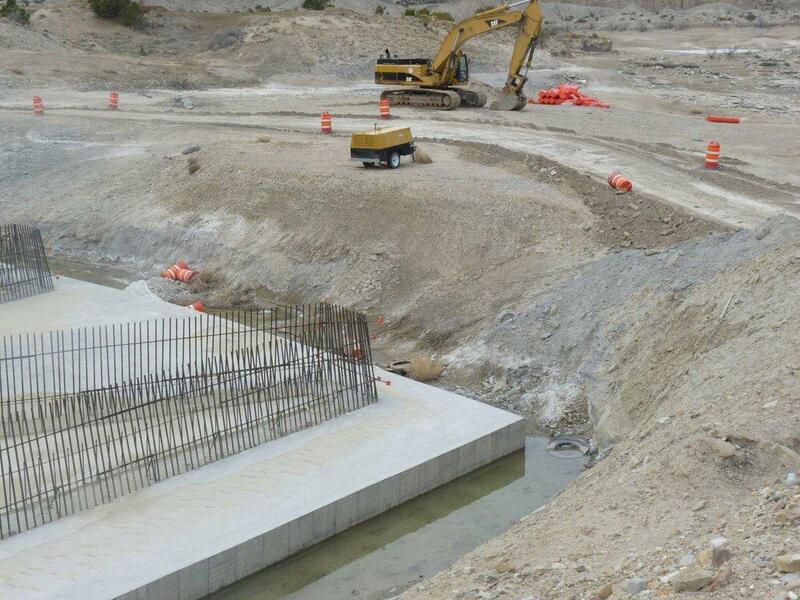 When construction is complete, the reservoir will again be able to hold 18,000 acre-feet of water. 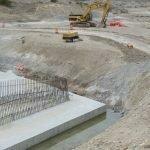 The dam under construction is still structurally sound, it was reported. 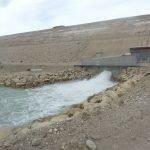 There has been no disturbance of the actual dam except for removing the rock on the downstream side, which is there to provide protection of the slope from gullies that could be created by intense rainstorms. 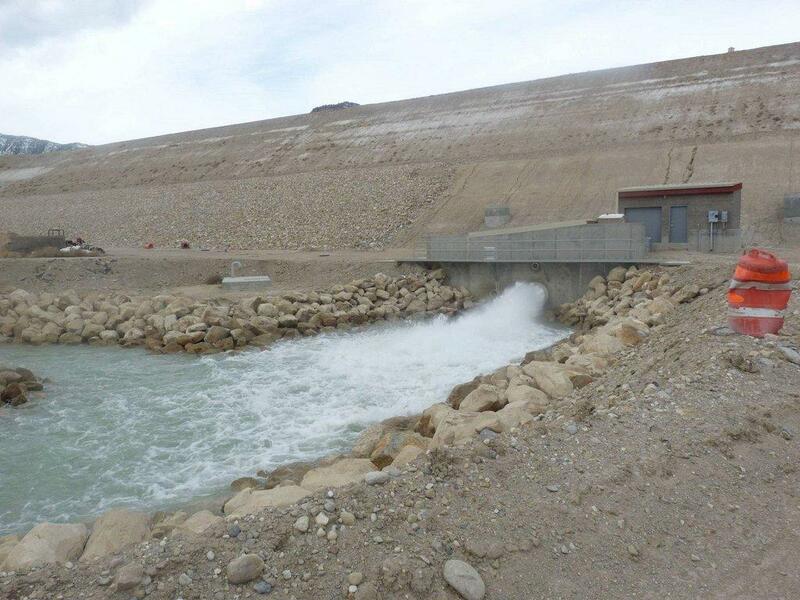 The dam is actually more stable now because of the foundation improvements and downstream berm, which was built last year when refurbishing the dam. Dirt work is scheduled to begin on Monday, April 15. The 24 inches of ground winter cover will be removed and then, using the shouldering machine, the progress up the dam can continue. Frost monitoring probes had been placed every 300 feet along the dam to monitor the frost depth through the winter. The frost got about 28 inches deep in the main dam section where the sun could hit the ground longer each day, while the frost line on the southern end was down about 40 inches. The probes in the ground allowed monitoring so they knew how deep the frost went in order to remove materials that froze over the winter. The plan is that the embankment work will be finished by the end of the year. The outlet works have only needed a little touch-up during the winter; just painting the metal pipes where there have been dings or disturbances so that rusting or corrosion does not occur. All monitoring devices are working and are checked daily and regulated by the Emery Water Conservancy District. Revised 3-D computer models have been used to address the issues with the deficiencies of the concrete for the spillway. Final changes to the design are being made and then the redesigned spillway will need to be approved by the federal and state dam safety reviewers. The hopes are that this review will only take a couple of months. The spillway work cannot be done as long as there is water going over the spillway, so it will probably be late July before it would even be possible to get into the spillway.